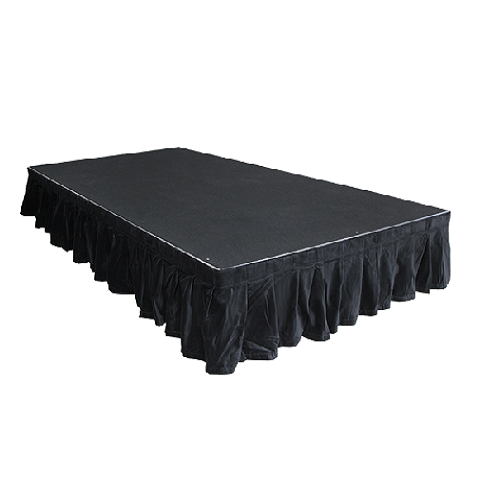 To keep up with the demand of our stage hire products we have recently added a new range of black pleated stage skirting to our hire inventory, available in 300mm, 600mm and 900mm in black as standard and other speciality sizes and colours available on request. 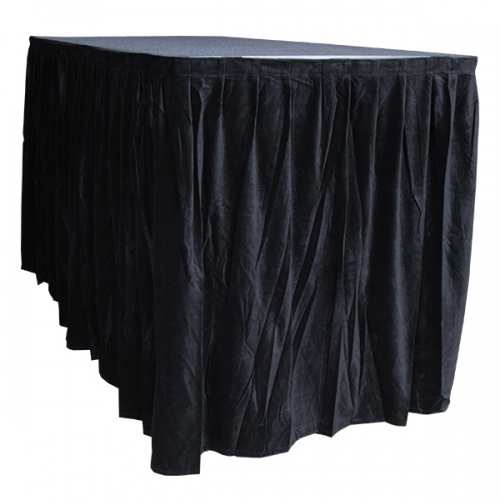 Black pleated velveteen stage skirting is the quickest and most economical way to dress the under side of any stage, using hook and loop velcro the skirting attaches to the perimeter of the stage or ramp for an clean and tidy finish. 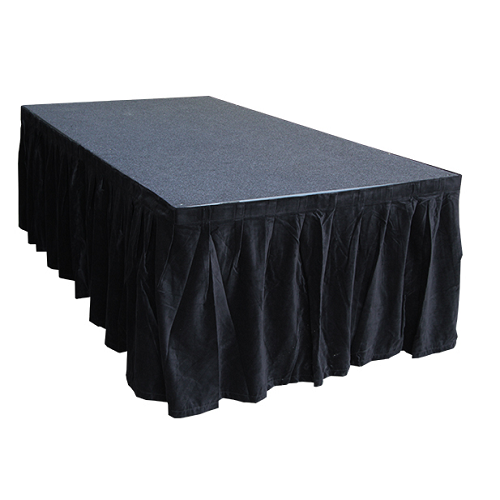 Also available are a range of black pleated truss borders ideal for covering overhead trusses, lighting rigging or led scren rigging. Again custom colours are available on request. 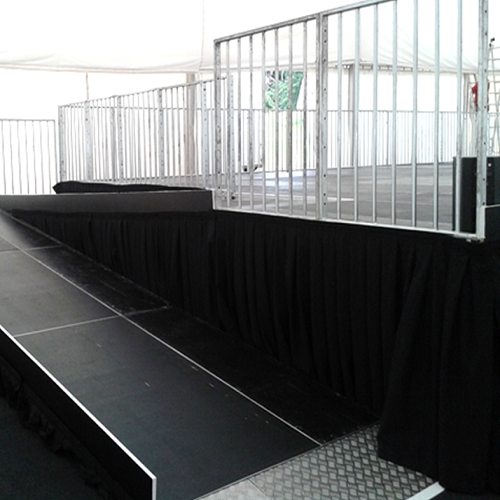 If your looking for a stage, drapes or skirts for your next event see our Stage Hire page or get in contact with our team at Structured Events.